of being MPs, which they stuff in their pockets, while praising the system and opposing reform. Just now there is a belief in universal suffrage... It is quite certain that the wrongs of the lower classes need a remedy. The aristocracy rolls in wealth and luxury while... the highways of the country, swarm with miserable creatures covered with rags, barefooted, having neither food nor shelter. The sight of this contrast is revolting, and in all likelihood were I one of these poor wretches I should be a democrat. Parliament was opened by the King on the 2nd. He was very well received by the people who, however, were very disorderly, hooted and hissed the Duke wherever they could see him. People complain that the Duke did harm by declaring publicly he would not lend himself to any reform and that he thought, in its results, no form of representation could be better than ours. I don't believe there will be any disturbance. The wretched state to which Belgium is reduced by their desire for reform is a pretty good lesson for sober and reflecting people such as we are. 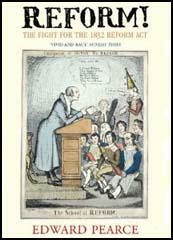 The Duke of Wellington made a speech in the Lords, and declared against Reform. I hear he was hissed, and hurt by a stone. I heard this evening that a very unpleasant feeling was rising among the working classes, and that the shopkeepers in the Metropolis were so much alarmed that they talked of arming themselves. We hear the radicals are determined to make a riot. The King gets quantities of letters every day telling him he will be murdered. The King is very much frightened and the Queen cries half the day with fright. The Duke is greatly affected by all this state of affairs. He feels that beginning reform is beginning revolution, and therefore he must endeavour to stem the tide as long as possible, and that all he has to do is to see when and how it will be best for the country that he should resign. He thinks he cannot till he is beat in the House of Commons. He talked about this with me yesterday. Such a scene as the division of last Tuesday I never saw, and never expect to see again. If I should live fifty years the impression of it will be as fresh and sharp in my mind as if it had just taken place. It was like seeing Caesar stabbed in the Senate House, or seeing Oliver taking the mace from the table, a sight to be seen only once and never to be forgotten. The crowd overflowed the House in every part. When the doors were locked we had six hundred and eight members present, more than fifty five than were ever in a division before. When Charles Wood who stood near the door jumped up on a bench and cried out. "They are only three hundred and one." We set up a shout that you might have heard to Charing Cross - waving our hats - stamping against the floor and clapping our hands. The tellers scarcely got through the crowd. But you might have heard a pin drop as Duncannon read the numbers. Then again the shouts broke out - and many of us shed tears - I could scarcely refrain. And the jaw of Peel fell; and the face of Twiss was as the face of a damned soul. We shook hands and clapped each other on the back, and went out laughing, crying, and huzzaing into the lobby. The conduct of government would be impossible, if the House of Commons should be brought to a greater degree under popular influence. That is the ground on which I stand in respect to the question in general of Reform in Parliament. I learn from my servant John that the mob attacked my House and broke about thirty windows. He fired two blunderbusses in the air from the top of the house, and they went off. I think that John saved my house, or the lives of many of the mob - possibly both - by firing as he did. They certainly intended to destroy the house, and did not care one pin for the poor Duchess being dead in the house. Matters appear to be going as badly as possible. It may be relied upon that we shall have a revolution. I have never doubted the inclination and disposition of the lower orders of the people. I told you years ago that they are rotten to the core. They are not bloodthirsty, but they are desirous of plunder. They will plunder, annihilate all property in the country. The majority of them will starve; and we shall witness scenes such as have never yet occurred in any part of the world. Lord John Russell began his speech at six o'clock. Never shall I forget the astonishment of my neighbours as he developed his plan. Indeed, all the House of Commons seemed perfectly astounded; and when he read the long list of the boroughs to be either wholly or partially disfranchised there was a sort of wild ironical laughter. Baring Wall, turning to me, said, "They are mad! They are mad!" and others made use of similar exclamations - all but Sir Robert Peel; he looked serious and angry, as if he had discovered that the Ministers, by the boldness of their measure, had secured the support of the country. 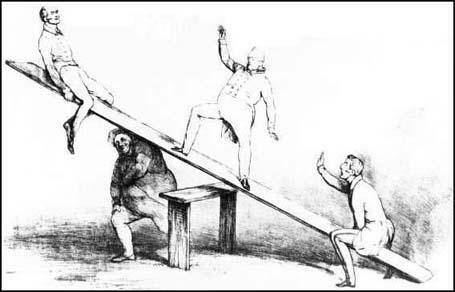 Burdett and I agreed there was very chance of the measure being carried, and that a revolution would be the consequence. We thought our Westminster friends would oppose the £10 qualification clause; but we were wrong, for we found all our supporters delighted with the Bill. Yesterday morning the newspapers (all in black) announced the defeat of the Reform Bill by a majority of forty-one, at seven o'clock on Saturday morning, after five nights' debating. By all accounts the debate was a magnificent display, and incomparably superior to that in the House of Commons, but the reports convey no idea of it. The Duke of Wellington's speech was exceedingly bad; he is in fact, and has proved it in repeated instances, unequal to argue a great constitutional question. He has neither the command of language, the power of reasoning, nor the knowledge requisite for such an effort. There is no one more against annual parliaments, universal suffrage, and the secret ballot, than I am. My object is not to favour but to put an end to such hopes. It is not by mere numbers, but by intelligence, that the nation ought to be governed... I support (the Reform Bill) because I am sure that it is our best security against a revolution. In Bond Street I saw a large placard with this inscription: "199 versus 22,000,000!" and I went into the house to persuade the shopman to take it down. He was a shoemaker, and, though very civil, was very firm, and refused to remove the placard, saying he had only done as others had done. When I told him who I was, he said, "Oh, I know you very well", but he still declined to follow my advice. At a quarter past twelve o'clock, the Royal carriage in which their Majesties were seated, without attendants, reached the village of Hounslow. The postillions passed on at a rapid rate till they entered the town of Brentford; where the people, who had assembled in great numbers, expressed by groans, hisses, and exclamations, their disapprobation of his Majesty's conduct with respect to the Administration. The Duke of Wellington had entered the Palace in full uniform about a quarter of an hour before the Majesties, and had been assailed by the people with groans and hisses. The Duke of Wellington, after remaining more than three hours with his Majesty, left about a quarter-past four, amidst groans and hisses even more vehement than when he arrived. Lord Frederick Fitzclarence was received with the same disapprobation, and loud cries of "Reform". One more day will finish the concern in the Lords, and that this should have been accomplished as it has against a great majority of peers, and without making a single new one, must always remain one of the greatest miracles in English history. He (the Duke of Wellington) has destroyed himself and his Tory high-flying association for ever. 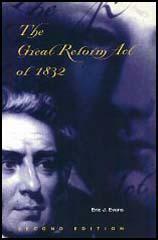 This (the Reform Act) has saved the country from confusion, and perhaps the monarch and monarchy from destruction. In the House of Lords yesterday Grey, according to his custom, came, and talked with me. It is really too much to see his happiness at its being all over. He dwells upon the marvellous luck of Wellington's false move. Thank God! 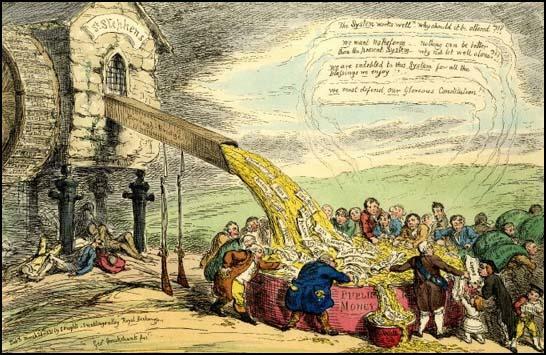 I was in at the death of this Conservative plot, and the triumph of the Bill! 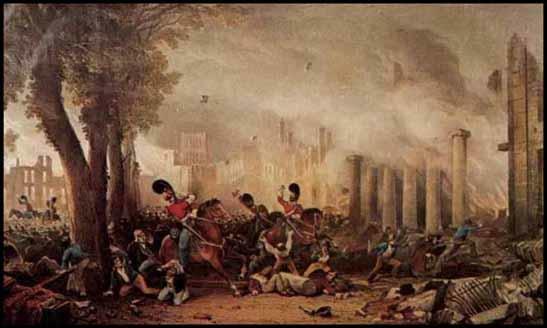 This is the third great event of my life at which I have been present, and in each of which I have been to a certain extent mixed up - the battle of Waterloo, the battle of Queen Caroline, and the battle of Earl Grey and the English nation for the Reform Bill.